Hello everyone - April was a busy month here at the Bike Index! Lots of good recoveries in this round up, and May is already keeping us busy as well. ... plus many, many more. Thanks for your help! Just confirmed that the Portland Police found my bike. A gentleman name J spotted my bike at a flea market and recognized it's distinctive color. He got in touch and described the bike to me and sent a picture. Thank you, J! Thank you Bike Index! Without you I would never had the info, and bike. Details thin on this one, but the bike was ID'd via the Bike Index and returned to the owner. 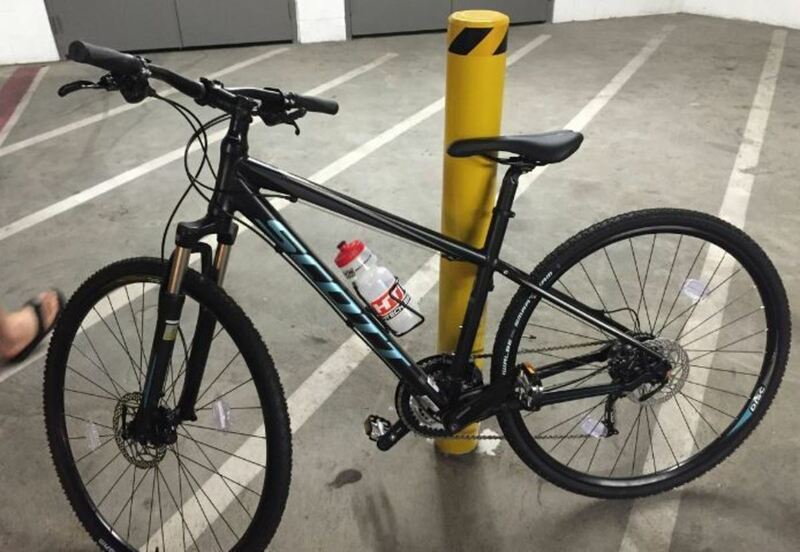 An awesome score from our friends in the Portland Bike Theft Task Force - two stolen bikes at once! Officer Oliphant recovers two bikes downtown that were stolen in a burglary! Person who bought it tried to register it, and it came up as being stolen, along with my phone number. She called and dropped off the bike to me! 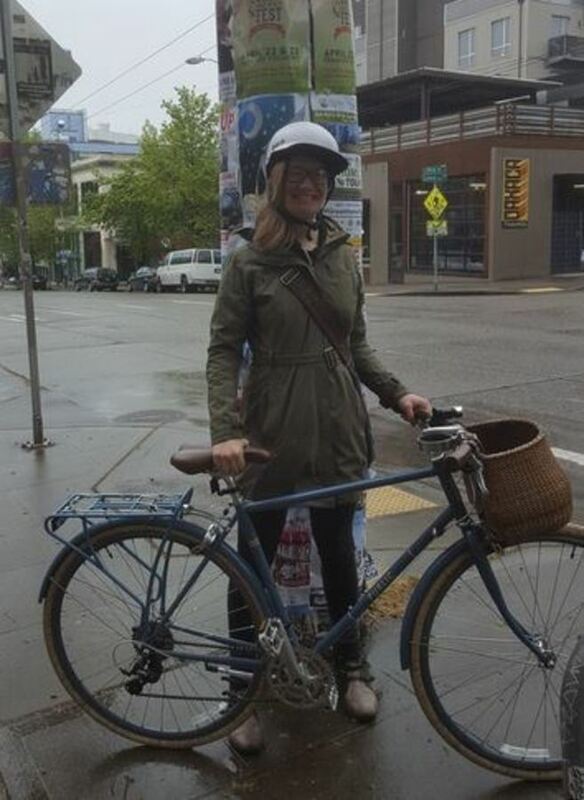 C. (a user of Bike Index) found it near Bryant street Safeway. A BIG BIG thanks to C. He even went to see the guy and take back the bike for me! A good Samaritan spotted my bike being sold on 16th and Harrison. 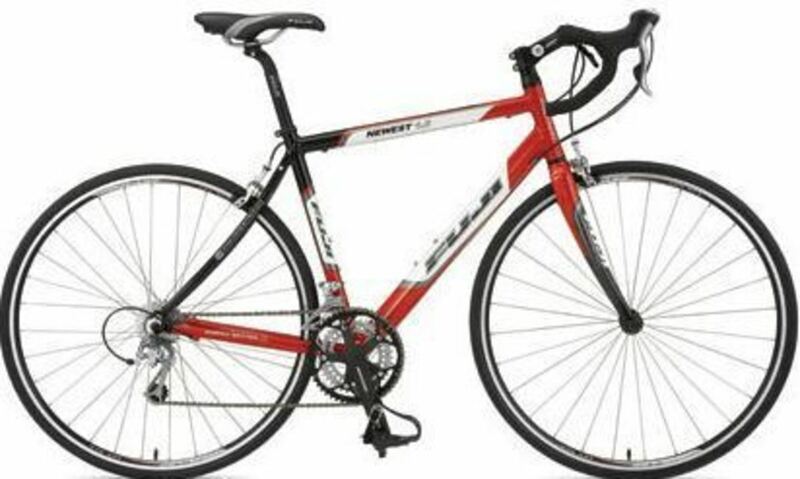 He approached the person buying the bike and said he suspected it had been stolen. He searched bike index and got in touch with me. Totally unexpected and awesome of this guy to take the time and effort to get my bike! Bike Index works! Thanks to Bike Index, after busting a dope house where my bicycle had been stashed, the Portland Police kindly called to tell me they had found my Bianchi. The detective also noted that he always checks Bike Index so to tell any friends who have a bike stolen to always register them. YAY! An amazing fellow found a sketchy post on OfferUpNow.com & crossed referenced Bike Index, suspected it was my bike ... we called the cops to be on stand by, he met the guy to check out the bike, saw it was my serial number, and BOOM. I got my bike back and the filthy scum who ripped me off is in cuffs. THANK YOU BIKE INDEX! The Bike Index is an incredible resource and a selfless commitment of good will. The bike community is SO LUCKY to have you! 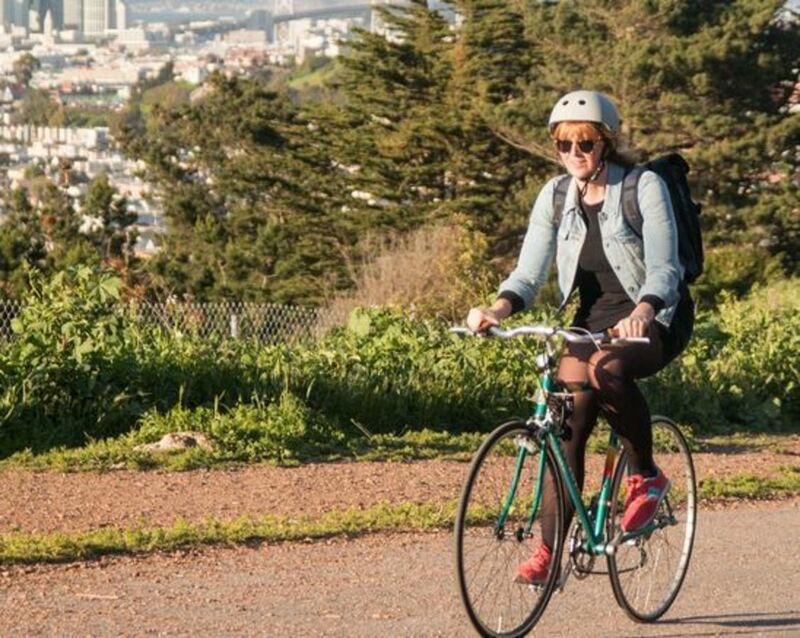 Shortly afterward my bike was stolen Wednesday morning, I posted my Bike Index link on Twitter which was retweeted by @stolenbikesssfo and @sfpdbiketheft. That afternoon someone texted me to tell me that he saw my bike in the Mission. I quickly drove down and on the way received a call from another person, named A., saying he saw someone trying to sell my bike on Mission street. Long story short, I was able to recover my bike before it was sold and it was all thanks to Twitter, Bike Index, and a couple amazing human beings. Someone dumped my bike in a backyard a few blocks away from where it was stolen and the homeowner turned it in to the Police. The police searched Bike Index and found it! Then contacted me. Thanks, Bike Index! Spotted by a nieghbor (stashed by the thief) and returned to the rightful owner. "This bike was recovered a few blocks from our house, where it was tossed over a wall down into blackberry bushes with only minor damage." Police called at 2:30AM saying that a guy bought the bike from someone else and then went on Bike Index to see if the bike was stolen. As the guy found the bike was stolen he called the police at 2:00AM and they called us. We filed a police report, but it was not even in the system yet! The officer was very clear - without Bike Index he could not have found us! Bike Index report worked better than a police report. Thank you! I was contacted by a person who possessed it. Thank you Bike Index! 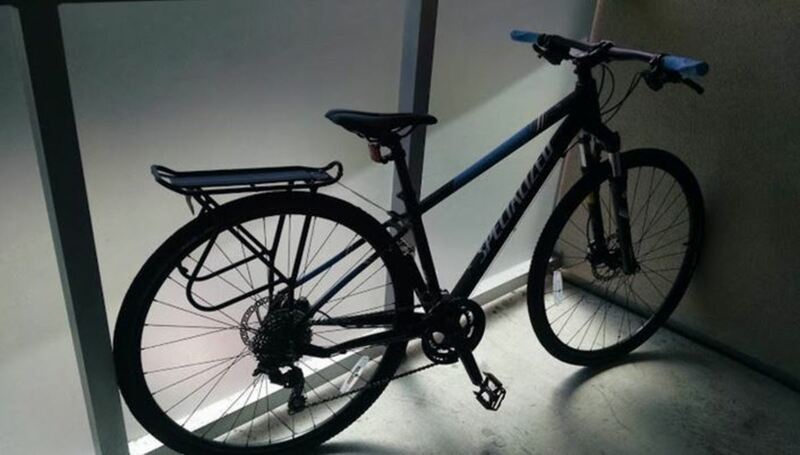 Portland Police North Precint found bike inside stolen vehicle. When detectives initially ran a check in their system for bike's serial number, nothing came up but when he checked Bike Index, he found my info. Thank you, Bike Index for being crucial in recovering my bicycle! I'm forever grateful! Found the woman who had it and showed her my registration, then told I was on my way to the police ... bike recovered. 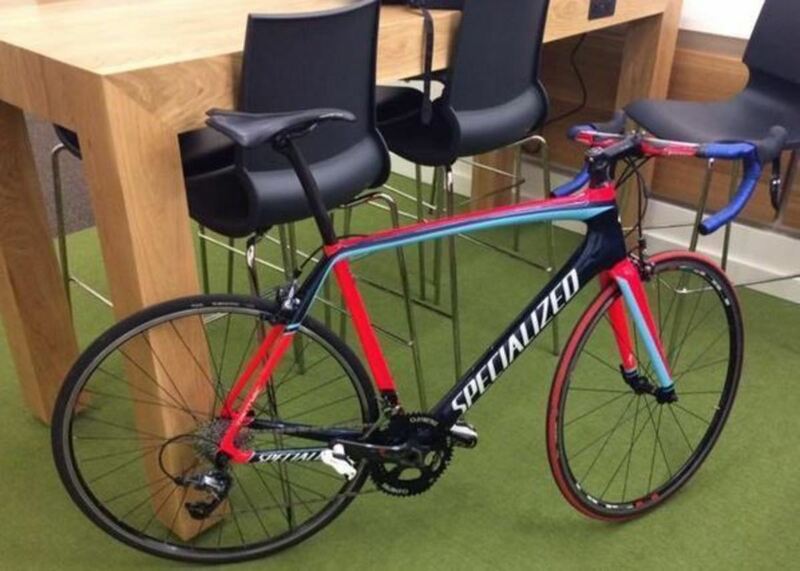 It's an epic tale of persistent struggle and ultimate triumph ... bike returned to owner. 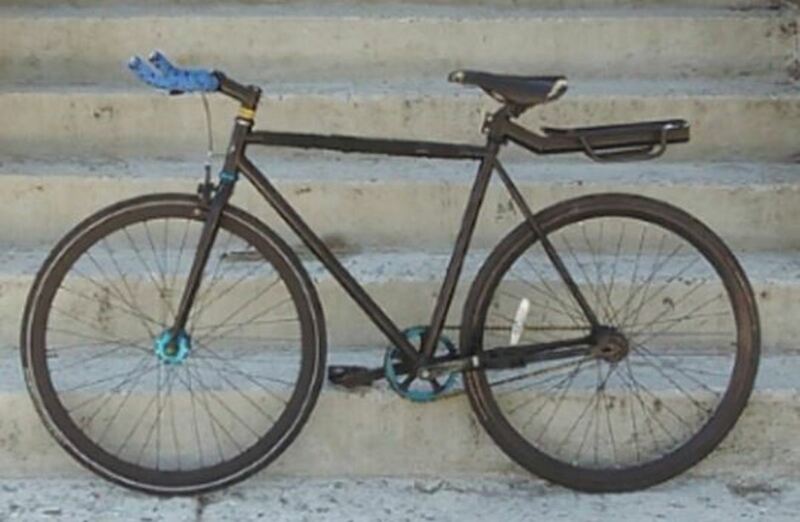 This story is so long that I can only summarize it here: Bike stolen from apartment parking lot, bike spotted for sale on Offerupnow.com, the owner then ID'd where the bike was from the photos & sent his parents to scout the location. 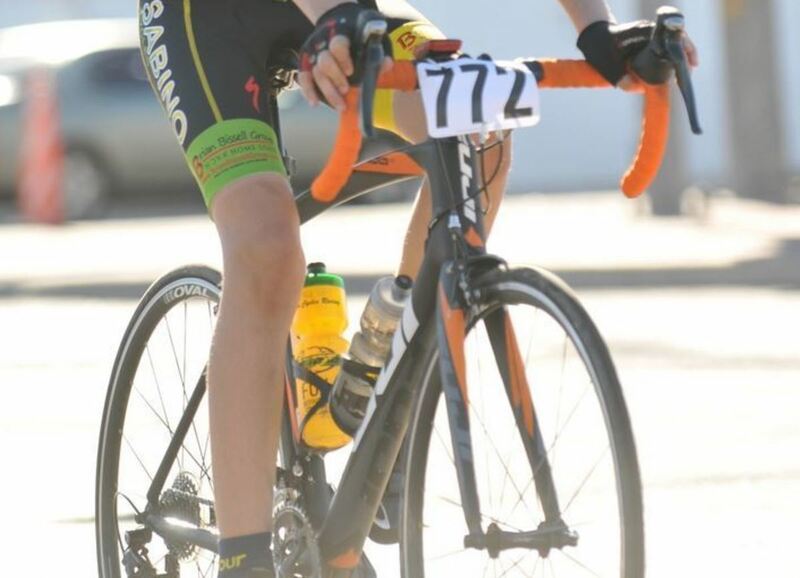 His parents ran into the suspected thief and snapped this photo before he took off - bike was recovered. Seattle police then ID'd this guy and he was arrested a few days later and booked. Score! Called the police. Two officers responded. Additional case information is being recorded as a supplemental statement under the original case report number. Everyone, record your bike serial numbers and take ample photos! This is a success story! Fire fighters are the greatest! Someone had crashed my bike and the local fire fighters were called to the scene. They found the situation questionable, so they checked out the serial number on bikeindex.org, contacted me, and now I have my bike! Police arrested thief with two stolen bikes (one of which was mine). Thanks! Another score from our friends in New Orleans: "Stolen Bikes NOLA spotted it and got the bike back to me!!! Thank you!" Local pawn shop called police when a person in possession of it tried to sell it. The people at the pawn shop managed to keep the guy around until police came. Register your bikes! Report the theft! Pass out photos! (the pawn shop remembered the photo and checked serial number). The police were all over it. 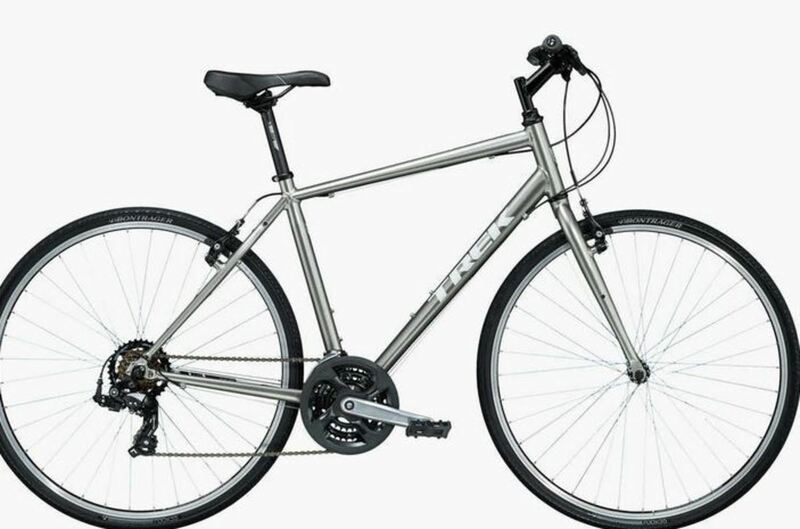 A good Samaritan who just moved to New Orleans and purchased the bike was not comfortable with the seller or sale so she searched Bike Index and contacted Stolen Bikes Nola. What an awesome initiative Bike Index is - I received a call from a man who purchased my bike at the San Jose flea market. He thought the deal was too good to be true, and so he went home searched for 'Stolen Giant Invite' and saw my post on Bike Index. I now have my bike back! Thank you, thank you, thank you! The bike was located by an honest citizen, ID'd, and then returned to me. Thank you! An amazing tipster sent me the Craigslist ad for my stolen bike - I made an appointment to test ride and sent my 6'5 husband with his buddy to take it back. Spotted for sale on Craigslist, owner retrieved the bike from the seller. 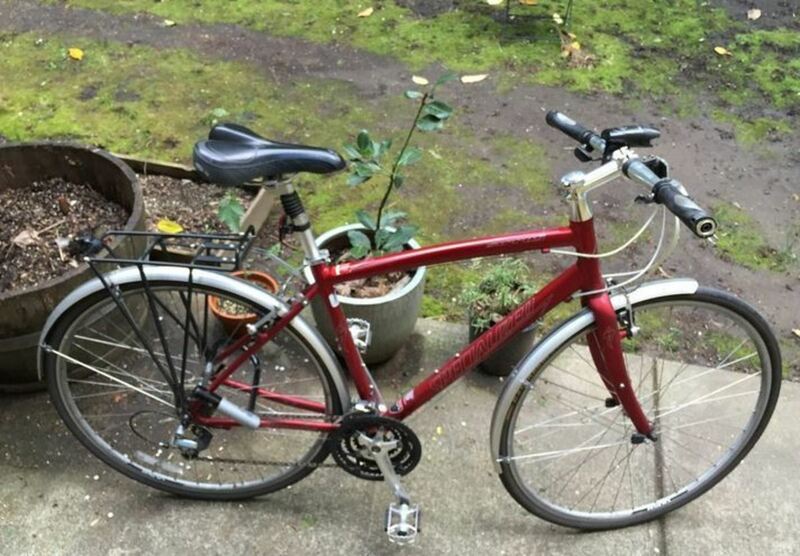 Seller continues to sell bikes in Gresham, OR. "Got my bike back and reported the situation to Gresham PD. I owe the tipster a big thanks, a hug and beers." Received a call from someone in the Portland area after they saw it listed on the Bike Index website. They had typed in "Blue Trek" and mine was the first to show up. The gentleman was very nice and happy to have helped me be reunited with my bike. He just knew that someone was looking for the bike based on how well it was maintained. He was in his 60s and recounted a story of when his bike was stolen as a child. 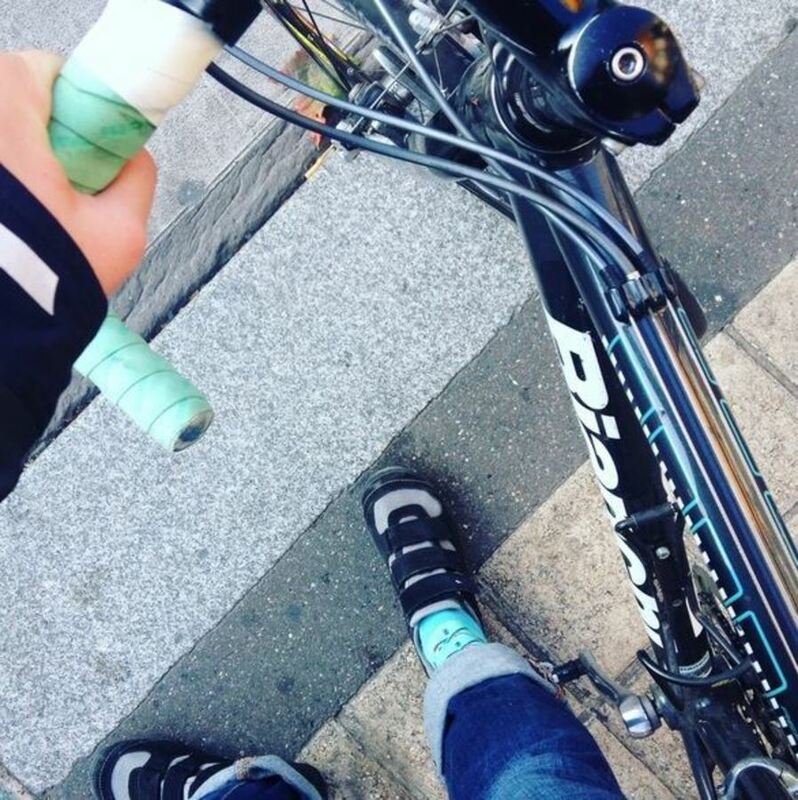 I am thrilled to have a happy ending as I have been loving my bike for over 10 years. 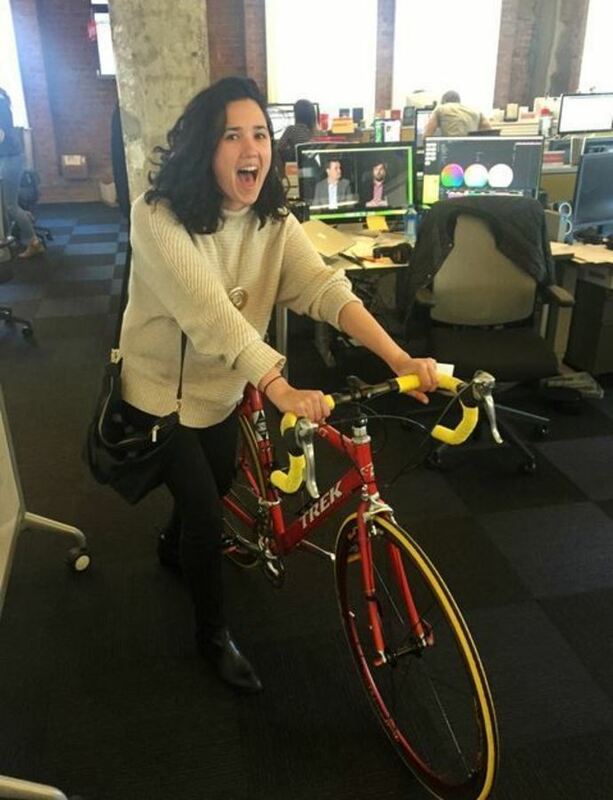 Bike was discovered by Trader Joe's employee nearby the location it was stolen. It was stashed outside the store with the front tire removed and locked to the back (with my same U-Lock!). The employee thought it looked suspicious because it was not locked to a bike rack, so he checked the registry for a match, gave me a call, and the rest is history. Recovered by a worker at (redacted) - Thanks for your help! Kind bike watcher L. found it parted out ... but I can rebuild. And that's it for April. Keep an eye on your bikes, folks, and please keep an eye our for everybody else's, too.